Replacing the content in the custom block is often challenging. In Drupal 8, the best way to replace the content in the custom block programmatically is to use module_preprocess_block alter. Step 2- Create “test.info.yml” file that will have entire information about module such as name, type, package, version. * Block Id represents id of coressponding block which contains the placeholder. We hope you will able to now replace the content in your custom block easily following the above steps. 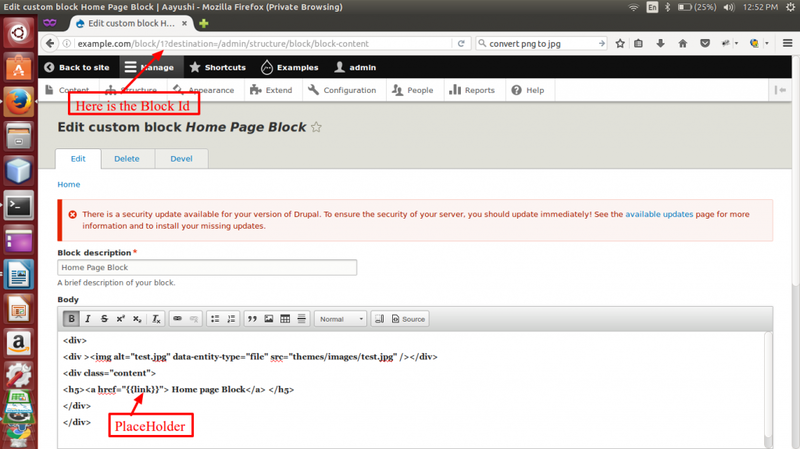 In case if you have more queries about Drupal 8 custom blocks, feel free to share them in the comments below. Thanks for useful trickes, I was searching for quite time but finally I was able to change content base on my requirement on the fly. By the way my question is can’t we do same with how to identify particular block using hook_block_alter which i try to used before this but it didn’t work.